After losing Peyton Manning to retirement and Brock Osweiler to the Texans, the Denver Broncos find themselves in a peculiar situation, being a championship team that doesn’t have a quarterback. Today, they addressed that issue by trading for ... Mark Sanchez? 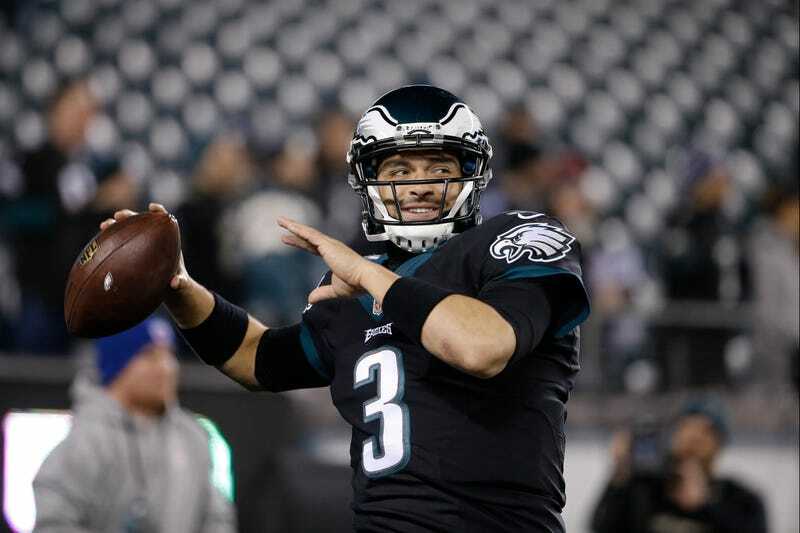 Sanchez hasn’t been a starter since 2012, but played in three games for the Eagles last season, in which he threw for a combined 616 yards, four touchdowns, and four interceptions. Sanchez is nobody’s idea of a contender’s quarterback, and so you have to assume the Broncos are still going to make a move to bring in a more proven starter. Then again, they just won the Super Bowl with a geriatric Peyton Manning under center, so maybe their whole plan is to just put any random schmuck—Mark Sanchez, for example—at quarterback and let the defense take care of everything. If that’s the case, I cannot wait for Sanchez to appear in his first Super Bowl.